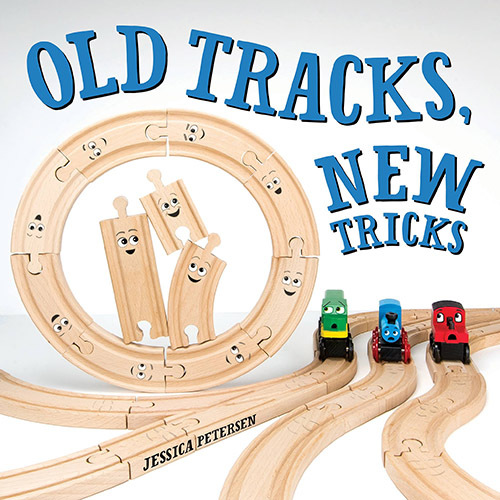 Looking for the perfect train gift for a child? 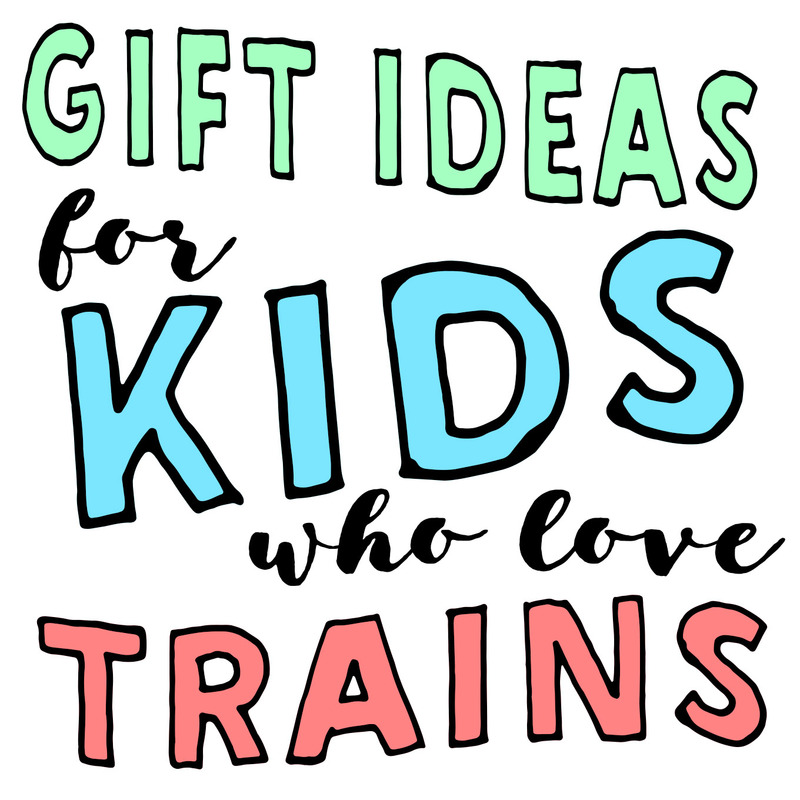 Below you’ll find some of my best — and most creative — gift ideas for kids who love trains! The great thing about buying a present for a kid who loves trains is that you know exactly what to get: More trains! But in those two simple words — more trains! — lies a lot of uncertainty. Especially if you’re a grandparent, an aunt, the parent of a friend. 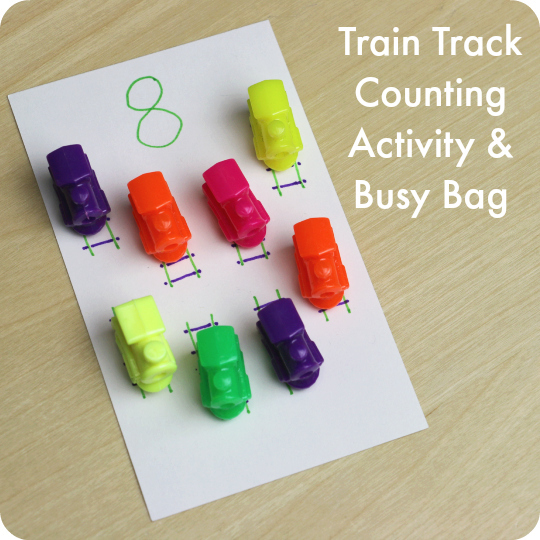 Unless you’re there playing trains with that little engineer on a regular basis, you probably don’t know which trains they already have — or what train books Mom and Dad haven’t already read five million billion times. Our family tried to solve the problem through communication: emails, wishlists, whispered conversations while the kiddo was busy — you guessed it — playing trains. But there were still duplicate gifts. 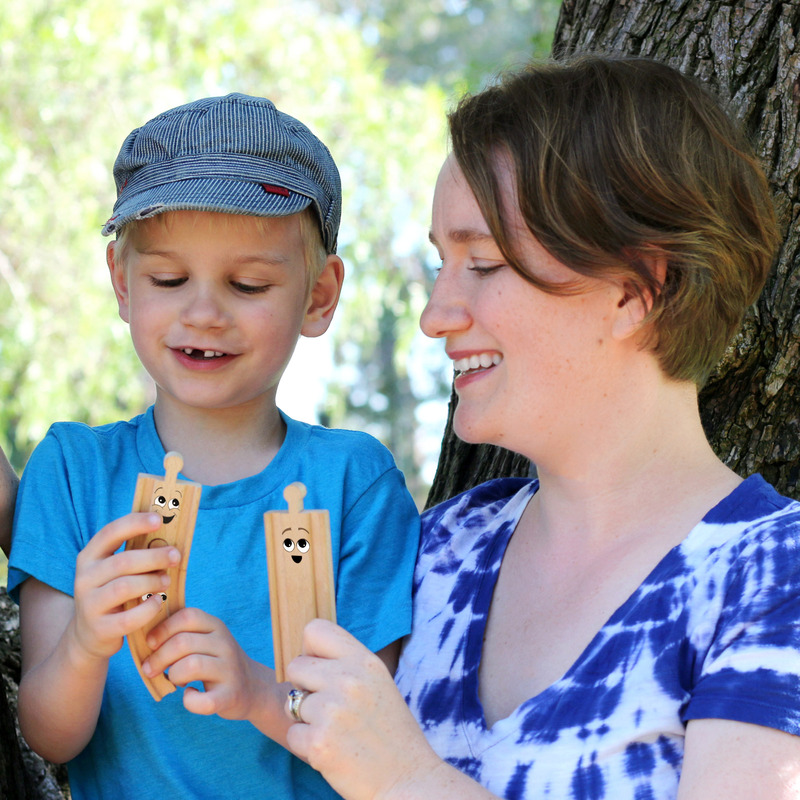 I know we’re not the only family with a herd of wooden Thomases. If you’re anything like me, you want to pick out something new and unexpected and all around delightful for that child’s special day. 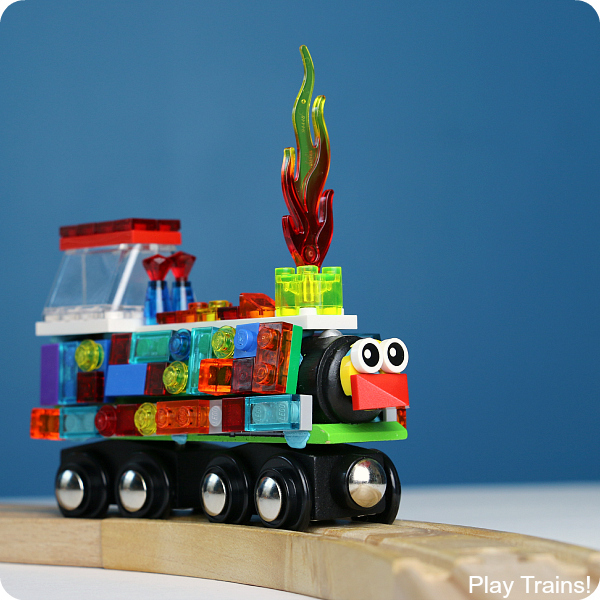 What you need is a creative train gift that goes beyond a Thomas & Friends starter set or copy of The Little Engine That Could. Something that will make Santa jealous on Christmas morning. 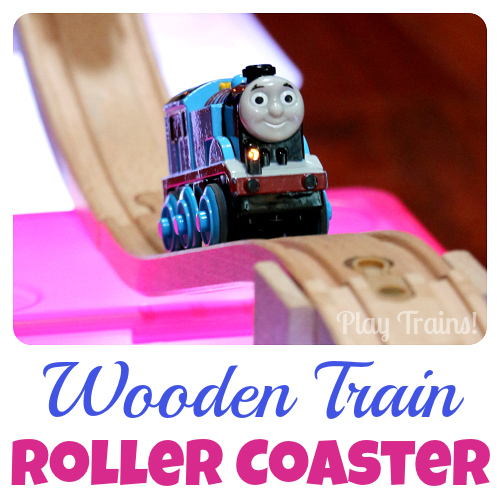 Something that will make you the hero of a train-themed birthday party. 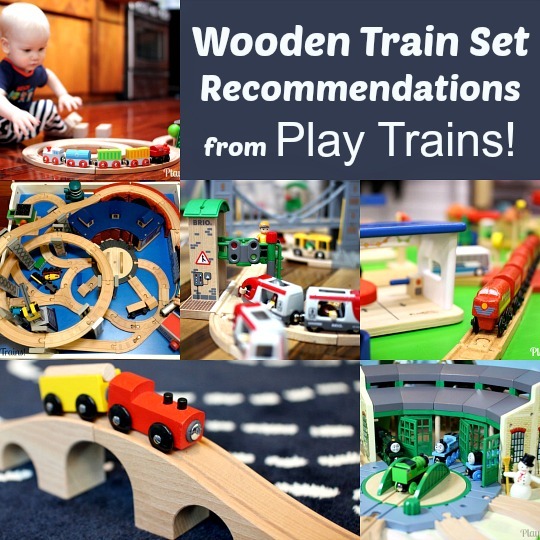 Fortunately, there are a lot of uncommonly awesome train toys, books, and other gifts that are as likely to surprise as they are to delight! This page contains affiliate links to Amazon.com. Read our disclosure policy for more details. 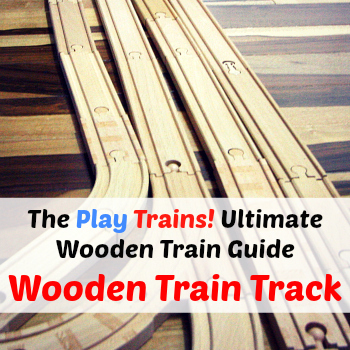 Note: If you’re looking for a wooden train set and want to delve deeper into learning about the different brands, I recommend reading my Ultimate Guide to the Best Wooden Train Sets. 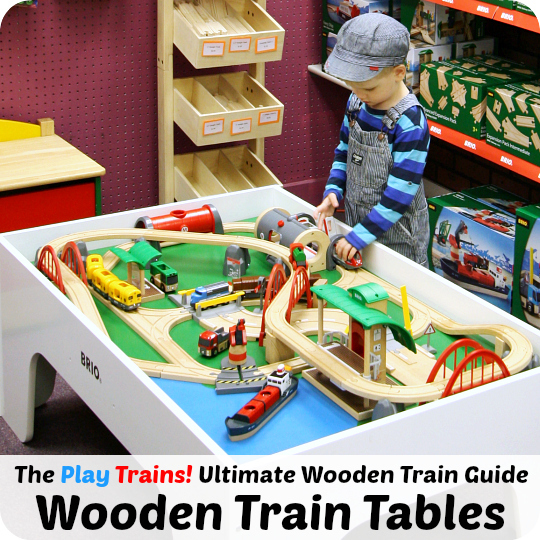 And if you’re interested in train tables, check out my train table guide. I am glad you have the Peters Railway books listed! We have most of the paperbacks for younger children and the are fantastic. Lots of diagrams to show how things work. Yes, we love them! I wrote a long post about how awesome they are (Sand Tracks: Train Beach Activity Inspired by Peter’s Railway) a few years ago after reading them to my son. He was three at the time but would beg me to keep reading chapter after chapter. We’ve just started reading them again recently…I love how they’re suitable for such a wide age range. Thanks! So glad you found the site!